Experience the incredible natural display as the Northern Lights illuminate the winter sky above Finland and Norway. Based in the very north of Finnish Lapland, in the village of Utsjoki, you will learn about the local indigenous Sami people in between your nightly aurora chasing. Here in the northernmost town of the EU, your odds of seeing the sometimes elusive Northern Lights are the highest around. Accommodation for all five nights will be in beautiful wooden cottages along the riverside. During the daytime, you’ll enjoy visiting the historic attractions in Utsjoki while additional options are available to go snowshoeing and husky adventure dog mushing. *tours run continuously from November through March. See dates below. Meals are not included but the cottage has a full kitchen you are free to use to cook your own meals. When you arrive in Ivalo and before we begin the final leg of your trip to Utsjoki, you will be taken to a supermarket where you can buy food for your stay. You’ll be picked up at the airport in Ivalo and brought a couple hours north to the historic village of Utsjoki, where we’ll spend the next five nights based in our beautiful wooden cottages on the banks of the Teno River. Join this optional (extra cost € 75) 5 hour morning/afternoon snow showing adventure in the beautiful snowy landscape around Utsjoki. This little adventure gives you the opportunity to see things you can’t see unless you go off the beaten path. Our pace is slow and the terrain won’t be too difficult to traverse so this is suitable for everyone. We will take a break at a laavu (mountain hut) where we can make some coffee, warm up by the fire, and have something to eat. This adventure is really great if you want to see more of the natural beauty of Lapland. From 7pm to midnight we’ll head out to see the Northern Lights for a few hours, either right in Utsjoki or driving to where the sky is clearest. We will take a tour of Utsjoki village center. (Extra cost: € 10) The program is quite flexible, but most guests like to walk across the bridge and get a photo standing one foot in Norway and another in Finland. We can also visit the local café to warm up where there is a small souvenir shop with handmade souvenirs by local people. We can also take a small trip to Utsjoki church and Kirkkotuvat – a beautiful place with old buildings and a beautiful view over Lake Mantojärvi. In the evening, we’ll go out once again chasing the Northern Lights. The husky adventure (Extra cost: € 175) we will take you to is a little different from most. Instead of a set path that you get to go around once or twice, Dag Broch from Tana Bru in Norway, one of Norway’s leading husky sled drivers, will take you into the Norwegian wilderness with his team of Alaskan huskies. We will arrive at Tana Husky in the morning and get a short introduction in how to drive a dog sled. During the two-hour trip, you will get to enjoy the peace and silence of nature as you guide the dogs through the wilderness. After the trip, we’ll sit around the open fire with something warm in the cup and you get to hear some stories about sled dog races. Once again in the evening, we’ll go out for a chance to see the spectacular display of the Northern Lights. Spend a leisurely day at the cottages right on the banks of the river Teno. There is a staircase from the cottages down to the water’s edge where there is a fireplace and a shelter, where you and the other guests can sit watching the northern lights for as long as you like. Your cottage also has a terrace you can sit on and watch the lights or the moon and the stars. You can even sit inside the cottage and watch the auroras from the window. If you get cool, heat up the sauna and indulge in one of Finland’s great traditions. Alternate daytime activity: Snowmobiling - pick up time 10.00 a.m. - Price: € 170 / person. In the morning we’ll take you on the beautiful 2-hour drive back to Ivalo to meet your flight departure on time. Warm clothing! Winter in Lapland is cold. Bring your warmest clothes (wool) and there will be more warm outerwear provided for you on arrival. Bring a tripod if you are planning to photograph the northern lights. Five (5) nights accommodation in your own cottage are included. These cottages are not only perfect from an accommodation perspective but they are also perfect from an aurora chaser’s perspective. They are proper Finnish high-quality cottages, equipped with everything you will need (see the list below), including your own sauna to warm up after a cold night chasing the lights. The cottages are really fresh and clean because they are almost brand new. Each cottage is equipped with electricity and water (tap water is drinkable), sauna, heating, indoor toilet, shower, bed linen, and towels. Kitchen and cooking utensils and cutlery for 8 persons are also provided along with a fridge with small freezer, stove/oven, dishwasher, microwave, coffee maker, kettle, toaster, television, cleaning equipment, and wifi. 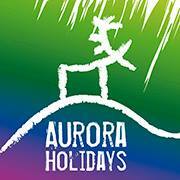 You travel provider for this tour: Aurora Holidays is a local tour provider based in Utsjoki, Finland. They are a fantastic small company that we’ve been working closely with over the past two years. We have taken this exact Northern Lights tour last year and absolutely loved it. That’s why we wanted to feature them on our site. We know you’ll love spending time with them in the north of Finland chasing the northern lights, experiencing Sami culture, and experiencing winter they way it was meant to be enjoyed.